I take decent pictures. They definitely aren’t exceptional and usually they aren’t terrible. 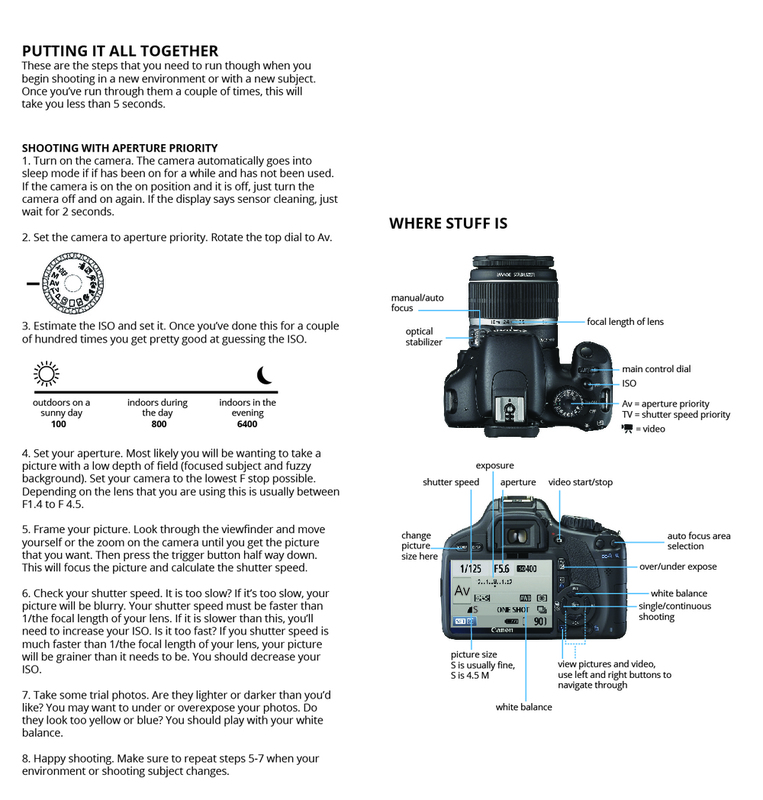 I put together this tutorial to explain photography basics. This short and simple tutorial will show you how to take decent quality photographs. Don’t get me wrong, you won’t turn into Richard Avedon or Ansel Adams overnight. However, your pictures will improve dramatically once you understand photography fundamentals and how to operate a SLR camera. Since I use a Canon Rebel T2i, the tutorial referrers to this camera. However, the layout of all Canon SLR cameras is pretty much the same. Other brands lay out their buttons and dials a bit differently but the basic relationships between aperture, shutter speed, and ISO always remain the same. Good luck and best shooting.